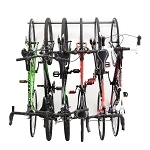 Free shipping to the lower 48 United States for this tool rack. 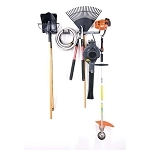 If you are looking for a way to safely organize all of your yard rakes, which may currently be sitting haphazardly around a garage or yard, then you've come to the right place. 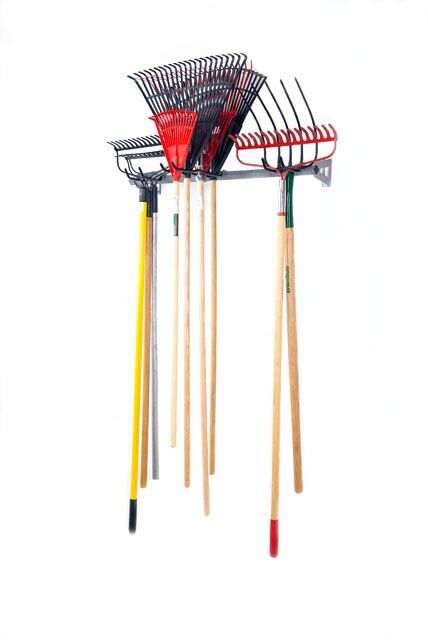 This Rake Storage Rack by Monkey Bars allows you to store all of your rakes in an orderly and efficient manner. 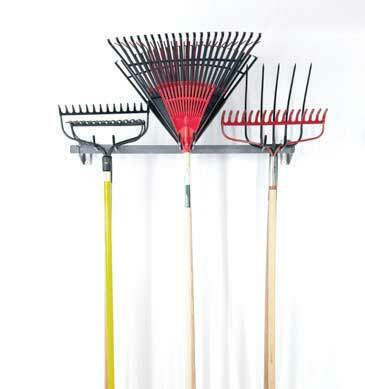 The rake rack does not limit you to one type of rake, you can store all sizes and shapes. 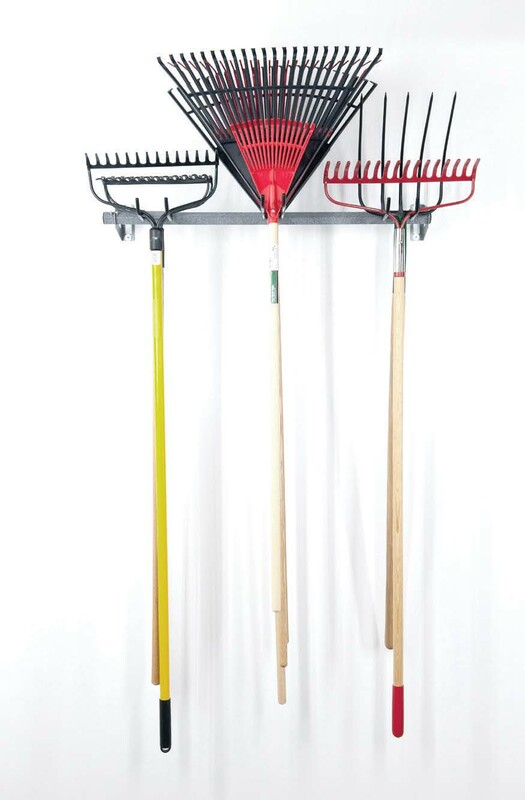 The Rake Storage Rack by Monkey Bars allows you to easily store your rakes because of the versatility in the size of hooks and space the rack creates. Installing the Rake Storage Rack is easy - you only need to screw 4 screws into 2 studs 48 apart, and then you're finished. 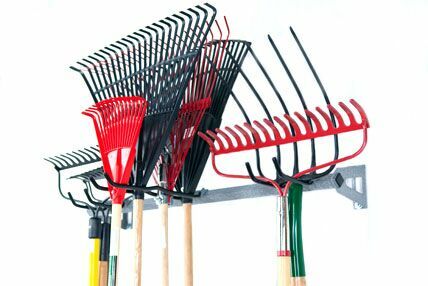 The rake rack is perfect storage device for garage, shed, barn, utility trailer, or even a commercial business. We will price match on a case by case basis. Assembled, the unit is just under 2' long and comes out from the wall about 15". 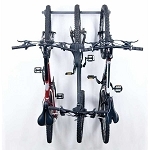 Made with powder-coated steel components which will last for years to come. 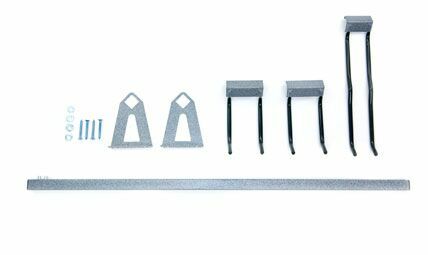 Tool hooks adjust by sliding for different sizes. Can be used in a garage, shed, barn, closet, or shop that has wooden walls. Holds 12 to 20 Yard Rakes. 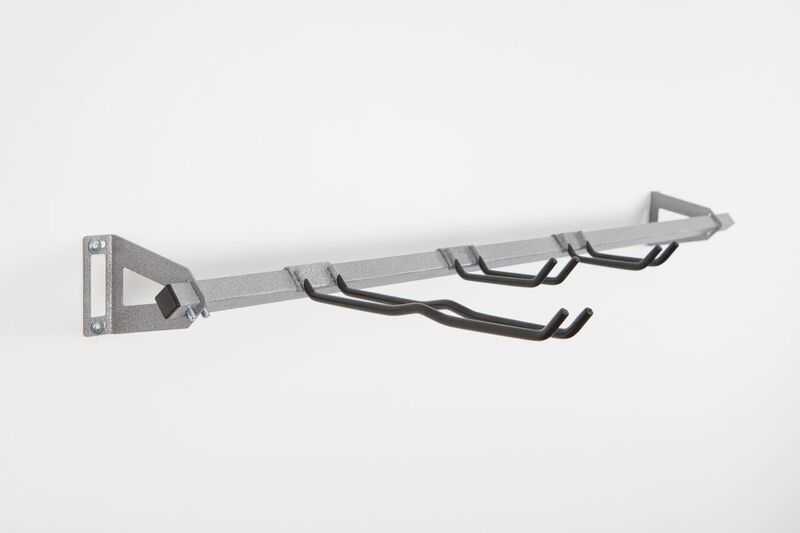 Q: How much weight can this Monkey bar storage rack hold? Fast Shipping: Orders for the 02003 Monkey Bar Storage generally leave the warehouse within 1 business day. Delivery Details: This product ships directly from the factory in either Rexburg Idaho, or Chattanooga Tennessee depending on which is closer. This item ships via FedEx and may not require a signature. Receiving the Package: When receiving the delivery, it is important to note any damage. Damage is extremely rare. We package these to travel both domestically and internationally. However, sometimes the packaging may be slightly damaged, but you may not be sure whether something inside is damaged. In such a case it is a good idea to check for damage. If there is damage, then please contact us and we will assist you. Call or email us with any questions. This product has 30-day returns: Simply hang on to the original packaging and contact us within 30 days of receipt if you are not satisfied with this product. If something is damaged or defective please notify us. We are confident you will love this product! Please contact us before purchasing if you are unsure whether this product is right for you by calling us toll free at 866-308-5484 or via email at websales@competitiveedgeproducts.com. Installation takes only about 15 minutes of your time. You will need to drill 4 holes into 2 different studs in your wall. Simply place the 4 screws into 2 wall studs 48” apart. The tool hooks easily snap into place and slide. 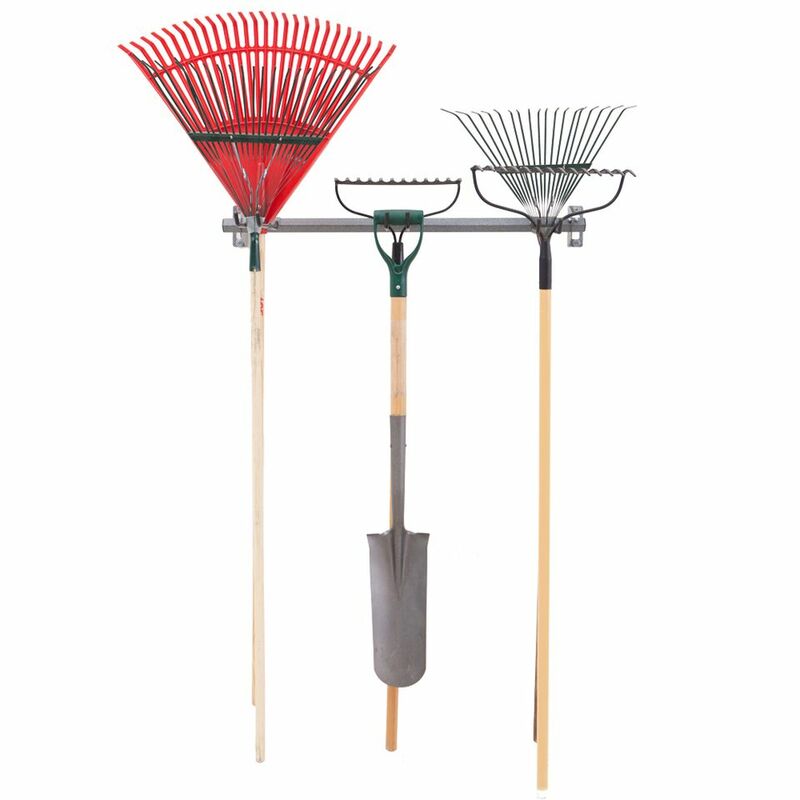 Now you can start organizing your yard rakes. Dimensions: 35" x 4" x 3"